THIS LISTING IS FOR THE EXACT NOTEBOOK PICTURED HERE. 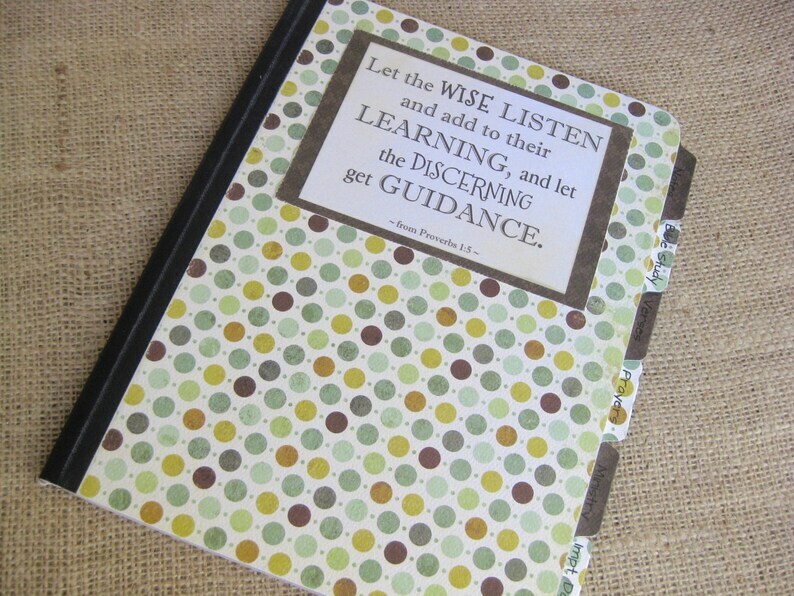 Please see the “Sermon Notebook” section of our shop for more design and color choices. 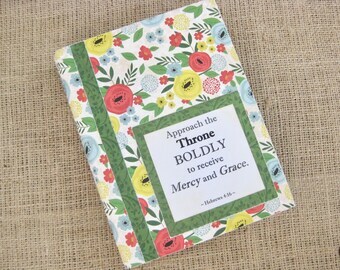 Throne of Grace’s Sermon Notebooks are the perfect companion to carry along with you to church, Bible study, or use at home with your quiet times alone with the Lord. Measuring 7 ½” x slightly over 9 ½”, this handmade treasure is filled with wide-ruled, lined paper. 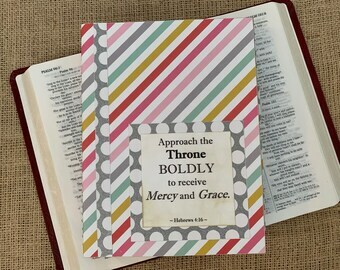 The notebook is divided into 6 tabbed sections labeled “Notes”, “Bible Study”, “Verses”, “Prayers”, “Ministry”, and “Important Dates”. 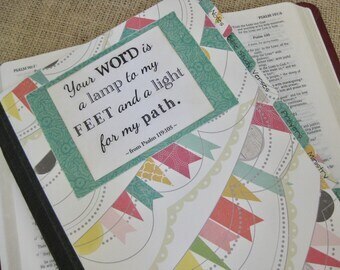 No more stuffing your Bible with church bulletins scribbled with sermon notes, dates to remember, and people to pray for! Use the pages of your notebook to keep a record of all that God is teaching you through sermons, Bible study, or your personal quiet times. You will have a place to record your notes, favorite scriptures, as well as keep to-do lists for ministry tasks or organize upcoming church dates and events. The uses are endless! 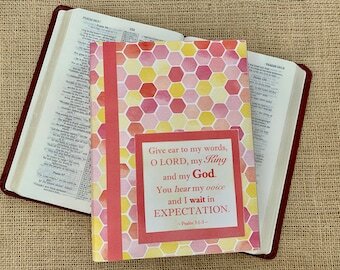 We pray that this notebook will become a treasured record of your spiritual growth! Directions are included to help you set up the notebook so you will get the most out of your purchase. Each notebook is one-of-a-kind and handcrafted with love. Sermon Notebooks come nicely wrapped in plastic and tied with baker's twine - ready to give as a special gift!